For the millions of people who experience pneumonia each year in the United States, proper treatment and rest are important. Caused by bacteria, viruses or fungi, the illness attacks your respiratory tract, triggering coughing, bloody mucus, fever, chills and shortness of breath. While foods don't cause or cure pneumonia, eating a healthy, balanced diet and staying hydrated can help ensure a normal recovery. Certain foods within that diet may prove particularly helpful, but check with your doctor before making any significant dietary changes during your treatment and recovery. Fruits and vegetables are top suppliers of antioxidants, which help your body resist and heal from infections and disease. Upping your intake may also help prevent more infections. A study published in "Public Health Nutrition" in 2010 involving 1,034 women showed that women who consume diets rich in fruits and vegetables are less likely to develop upper-respiratory infections, such as pneumonia, during pregnancy. Fruits and veggies particularly rich in antioxidants tend to be colorful, and include berries, citrus fruits, dark, leafy greens, winter squash and tomatoes. Eat fruits and vegetables fresh, cooked or added to other healthy foods, such as soups and smoothies. Whole grains provide valuable amounts of carbohydrates, your body's main fuel source, as well as a host of vitamins, minerals and antioxidants. The B-vitamins in whole grains play an important role in energy production and body temperature control, which are important when you're fatigued and feverish. 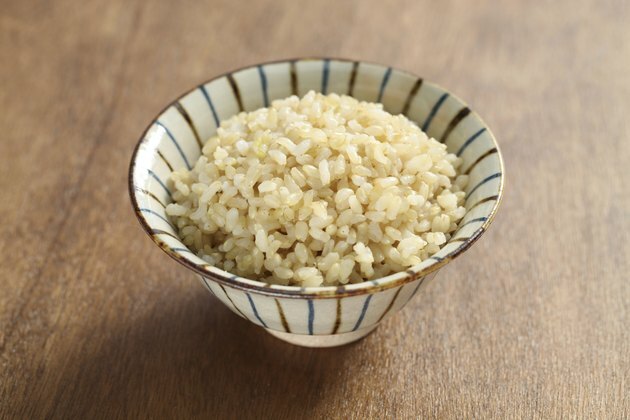 Grains are also a good source of selenium, a mineral that supports immune system function. Examples of nutritious whole grains include oats, brown rice, quinoa, air-popped popcorn and barley. For convenient options, choose prepared foods such as breads, cereals, crackers and pastas that list whole grains as a main ingredient. Protein plays an important role in tissue repair and immune function. Choose sources low in saturated fats, such as beans, lentils, skinless white-meat poultry and fish. Avoid saturated fat sources, such as red and processed meats, that can increase inflammation. Cold-water fish, such as salmon and sardines, provide rich amounts of protein and omega-3 fats -- anti-inflammatory fats your body needs. Research conducted by Rennard Larson, a professor of medicine in the pulmonary and critical care medicine section at the University of Nebraska Medical Center, shows that chicken soup can help improve hydration and nutrition in the body when you have a respiratory infection. It may also reduce inflammation while providing emotional and physical comfort, she told the University of Maryland Medical Center in an interview published in 2012. To make your chicken soup even healthier, add antioxidant-rich veggies, such as chopped leafy greens and diced tomatoes. Staying well hydrated is an important aspect of pneumonia recovery. The University of Maryland Medical Center recommends drinking 6 to 10 cups of liquid, such as water, juice, broth and weak tea, per day. While it remains controversial, many people believe that dairy products increase phlegm production. If you find that drinking milk worsens your symptoms, drink soy, rice or almond milk instead. Avoid alcohol and highly caffeinated drinks, such as energy drinks and coffee, which can interfere with rest. ABC Health &amp; Wellbeing: Does Milk Make Mucus Worse?